The perfect tool case for organizing small parts! A place for everything, and everything in its place. Originally designed for Police, Fire and EMS personnel, the new Pelican 1460EMS case is also the perfect solution for field service techs needing to organize small parts, tools and equipment. 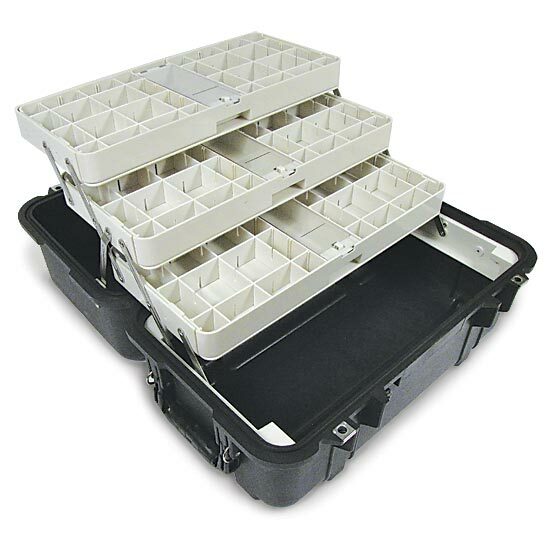 Features include a three-level tray system with fully customizable dividers and a lockable tray compartment. Plus, it's water resistant and dust proof, to ensure that both you and your gear are ready for any job.